MACRO AIR Smart Touch. Compatible with Marine Air A/C units. Highly customizable display enables personal preferences. Intuitive icons and menus lead you through start-up and troubleshooting. Schedule start-up & shut-down times or temperature changes. CAN Bus compatible. Accommodates Vimar Eikon and Eikon Evo bezel. Introducing Smart Touch by MACRO AIR, the easiest to use, most intuitive marine cabin control in the world. The highly customizable MACRO AIR Smart Touch display allows you to display the level of information you'd like: whether several pieces of vital information, or just a basic temperature control. While not in use, the control can display customizable text such as the name of the boat, standard display image, or customizable image such as a logo (coming soon - check with us if out yet). No more cryptic codes of faults with your marine AC system, the Smart Touch will display a full text description of the system fault and troubleshooting procedure, as well keep record of the fault history. An internal battery and non-volatile memory ensures that you keep all of your configurations, schedule and fault history indefinitely. 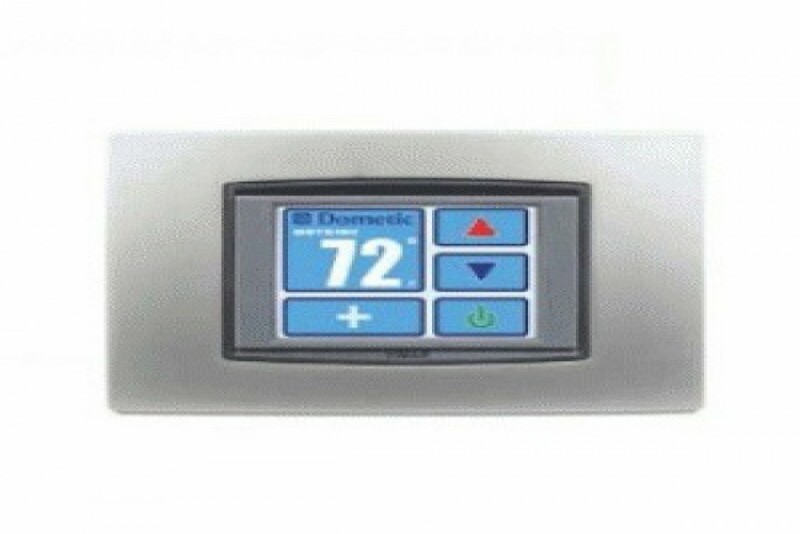 The Macro Air Smart Touch features the first-ever programmable scheduler for marine air conditioning, and includes CAN bus networking capability. Contact us if you have any questions regarding the Smart Touch's capability with your system.